PART 5: Is it possible to hack WhatsApp Account for an Android Phone without Rooting? PART 6: How to Hack WhatsApp Account Technically? There are a lot of different ways by which to perform WhatsApp hack online. If you just go to Google and type “WhatsApp web hack”, you’ll likely come across dozens of websites and solutions claiming to be the best. However, a lot of the sites advertised online are either fake or they carry malicious malware in their system. As such, finding the right way to hack WhatsApp account is difficult. Furthermore, when it comes to WhatsApp web hack, trustworthiness and reliability is extremely important. 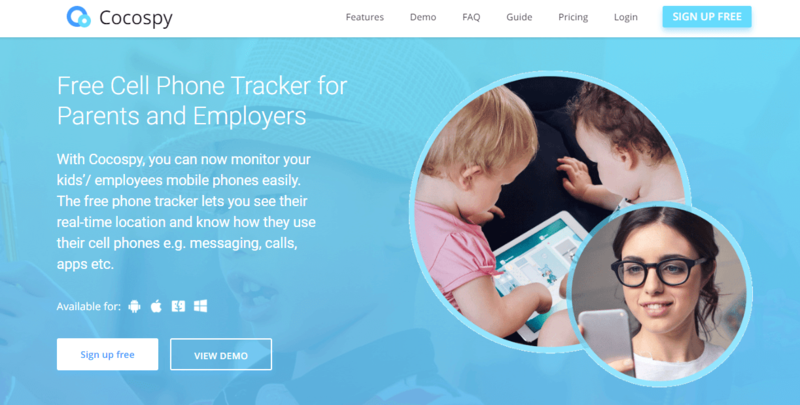 You could be secretly monitoring your kids, your spouse, your employees, or anyone else. As such, you should use a service that leaves no trace so that the target individual doesn’t find out. In this article, we’ll show you how to hack WhatsApp account using three separate WhatsApp hack online tools. Cocospy is the best WhatsApp web hack tool in the market. The fact that it has millions of satisfied users around the world means that it’s extremely trustworthy and reliable. Furthermore, all of its reviews are great, so it’s safe to use. Cocospy has a very strong set of features, even in addition to WhatsApp hacking. For example, you can use Cocospy to hack Facebook account, Skype, track location, etc. Related Reading: Can You Hack Whatsapp Account Using Phone Number? Here Is the Answer! 1. Check up on all of the messages being sent, received, or deleted from the target phone. 2. Gain access to all of the group chats. 3. View contact details of everyone the target user is in touch with. 4. Read messages as they happen live. 5. Monitor all of the media being exchanged over the chat. One of the best aspects of the Cocospy WhatsApp hack online tool is that it doesn’t require you to either jailbreak or root the target device. As for the iPhone, all you need are the target user’s iCloud credentials and you’re in. And for Android users, you can install the Cocospy app directly without having to root it. However, before you buy Cocospy, you should try out their Free live Demo first. How to hack WhatsApp account with Cocospy? Step 1. Sign up for a Cocospy account. Step 2. Android – Gain access to the target phone, install the Cocospy app into it, and then hide the icon. Step 3. iPhone – Enter the target user’s iCloud credentials into the Cocospy dashboard. Step 4. Go to the Cocospy dashboard, where you now have access to the target user’s phone. In the left-hand panel, you’ll find a list of options. Go down to ‘WhatsApp’. This will be a log of all of their messages, which you can now monitor. While Cocospy is the best method by which to hack WhatsApp account, in the next part we’ll share some alternatives as well. Spyzie is a reasonable and effective alternative to Cocospy. It allows you to hack someone’s WhatsApp messages without having to jailbreak or root their device. 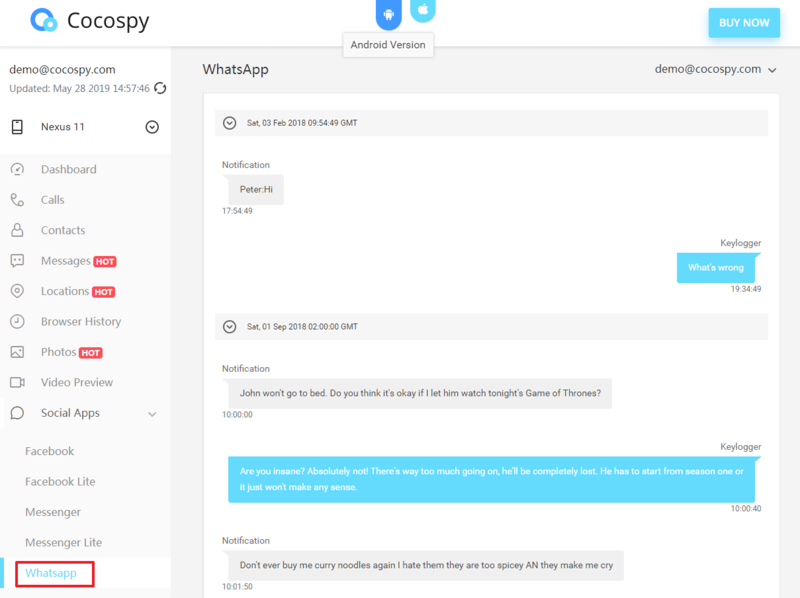 When it comes to WhatsApp hacking, Spyzie lets you access the user’s chat history, group chats, contacts, and download their media and attachments. Step 1. Go to www.spyzie.com or the Spyzie app. Create an account. Step 2. Enter the target user’s phone information into the app. Step 3. 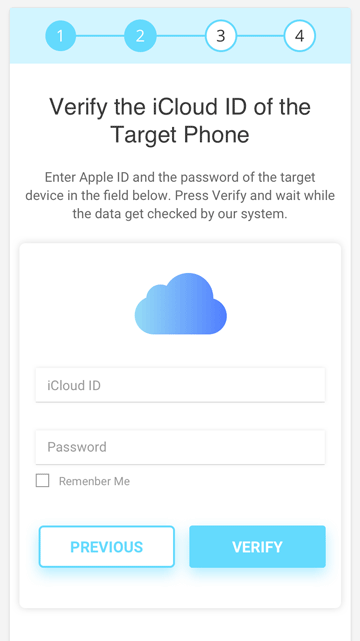 For iPhone – Enter the target user’s iCloud credentials. Step 4. 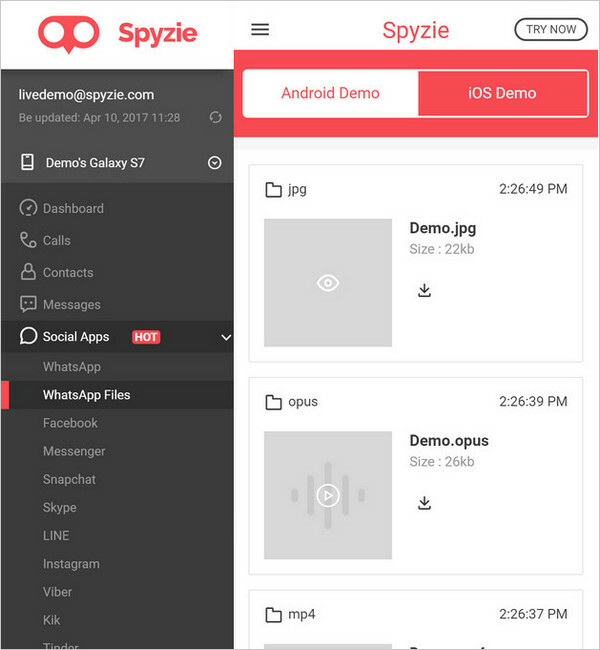 For Android – Download the Spyzie Android app into the target device. For a detailed guide on how to install it, you can read this Android tracking guide. Step 5. Access the target’s phone from the Spyzie dashboard. From the left-hand panel, select the ‘WhatsApp’ tab under the ‘Social Apps’ option. Now you have complete access to the target user’s WhatsApp account. mSpy is the most effective and simple means by which to hack WhatsApp account remotely without jailbreak. mSpy is a reliable and well acclaimed spy app, which can help you track someone’s phone without them knowing. Most spy apps require you to perform a jailbreak on an iPhone before it can be monitored. This is because iOS generally has restrictions against allowing random third party apps from being installed into the system. This is why most spy apps require you to jailbreak the iPhone in order to lose that restriction. However, mSpy also has a no-jailbreak option. With this option you don’t even need to physically hold the iPhone in your hand to install the app. You can do it all remotely. All you need is the target’s iCloud credentials, their Apple ID and password. With this, you can gain access to a control panel, which you can then hack WhatsApp remotely, without having performed a jailbreak. This no-jailbreak option does lead to many of the features being restricted, for example, it makes your app incapable of tracking the phone’s location, or the target’s social media accounts. However, if your only purpose is to hack WhatsApp, or track text messages, and perform other similarly low-key functions, then mSpy is ideal for you. How to Hack WhatsApp remotely using mSpy? It is extremely easy to install mSpy remotely without jailbreak. The only difficult part about this is managing to get the iCloud credentials of the target individual. Once you have that, the rest is a cake walk! The process is extremely simple but I’ll just outline it here for you. Step 1: Buy mSpy: Go to the mSpy webpage, then go to the ‘Buy Now’ page. Choose the package you need, I suggest you get the Basic package for the period you need. After that, you’ll have to make the payment from a secure payment gateway. Step 2: Confirmation eMail: Now you’ll receive a confirmation eMail with a link leading you to your control panel, and all your login credentials. Step 3: Enter the Target Device: Now you’ll have to enter the target device into your control panel. To set it up, you’ll be given several options. Because you want to do it remotely, you’ll need to click on the “without jailbreak” option. Step 4: Enter iCloud Credentials: Now you’ll have to enter the target’s Apple ID and password. Step 5: Finish: You’ll receive a ‘Congratulations!’ message. Simply click on ‘Finish’ and you’re done! Step 6: Hack WhatsApp Remotely: Now you can enter the control panel, wherein you’ll be able to view all the activities on the target phone. Scroll down to the ‘WhatsApp’ option, and simply read all the messages you want and gather all your information! 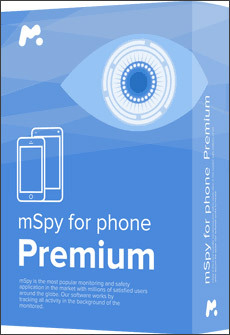 mSpy is also one of the more reasonable apps in the market, and offers a bunch of different packages that you can choose from. However, you don’t need to buy one of the advanced packages because in the ‘no-jailbreak’ version you get limited features anyway. As such, you can buy the Basic package of mSpy, which can be purchased for a period of 1 month, 3 months, or 12 months. You can find out more about the different price packages and the accompanying features in the mSpy Buy Now page. As far as compatibility is concerned, mSpy is one of the most compatible apps in the market, and its no-jailbreak version works with literally all the iOS versions available. Only the jailbreak version has limited compatibility. However, before you purchase mSpy, you should still check to see if your device’s compatibility. Hoverwatch is the cheapest WhatsApp spy app in the market. It enables you to record all of the target user’s WhatsApp messages, videos, audio files, and contact details. If you purchase the hoverwatch Family package, you can monitor as many as 5 WhatsApp accounts simultaneously, making it ideal for large families. Step 1. Sign up for the free hoverwatch account with your email and password. Step 2. Download the WhatsApp tracker into the target Android phone, or enter the iCloud credentials in the case of an iPhone. Step 3. Monitor all of the WhatsApp messages on the hoverwatch account. Unfortunately, due to recent developments, it is no longer possible to hack WhatsApp account on an Android phone without Rooting it first. However, you need not worry, Rooting isn’t as difficult as it might sound. After rooting the Android phone, you can hack WhatsApp using mSpy, as mentioned earlier. However, an even better and cheaper option to hack WhatsApp would be Highster Mobile. Highster Mobile is a really reliable and cheap app that can hack WhatsApp account easily. You might have noticed that the mSpy Basic package can be bought for one year for $99.99. However, Highster Mobile offers a lifetime license to you for just $69.99! Just to make the difference more stark, below I’ve made a table comparing the prices for different mSpy Basic licenses with the Highster Mobile uniform price. How to Hack WhatsApp account with Highster Mobile? Highster Mobile has a really simple and direct installation process which takes no longer than 2 minutes, even for those who aren’t very tech-savvy. In case you still get stuck, you can always contact the customer support by sending them a message in the eMail ID info@highstermobi.com, or you can call them at 866-611-9506. After the app is installed into the target phone, you can easily hack WhatsApp account using your own control panel. Below I’ve listed the steps you can follow to download, install, and use Highster Mobile to hack WhatsApp account. Download: Buy the app and make the payment. You’ll receive a license key and login details for your control panel. Installation: Now you need to install the app into the target phone. Download the app and install it in the target phone, which needs to have been rooted. Access the app and provide the license key and enter your own mobile number. You can choose to get notified periodically via SMSs sent to your mobile number. Tap ‘OK’ when the pop-up message comes up. Hack WhatsApp Account: Now you need to access your control panel using the login details. Scroll down to “Communication Logs” where you’ll find the options WhatsApp Logs, WhatsApp Images, and WhatsApp Audio. You can select whatever information you want and enter! And just like that, you’ve been able to hack WhatsApp account! You can use Highster Mobile for Android without rooting as well. However, if you want to monitor instant messaging apps like WhatsApp, WeChat and others, or Social Media apps, then rooting is necessary. The app needs to be installed into the Android phone manually so you need to get about 2 minutes alone with it. You can only monitor several WhatsApp accounts together if you have bought more than one licenses. The app needs to be installed into the phone you want to monitor. However, when they ask for the mobile number, you need to give your own number so you can receive SMS notifications. The uninstallation process can be done remotely from the control panel. You don’t need to physically access the device. MAC Spoofing is an extremely technical and difficult process with which to hack WhatsApp account, however this method is completely free. Unlike the previous methods, this method requires you to have strong technical expertise, and you need to follow the instructions very closely. MAC address here refers to a “Media Access Control” address which is a 12 character identifier for your network adapter. It comprises 6 pairs of digits, i.e., 01:53:35:47:78: cb. This is unique to every device. 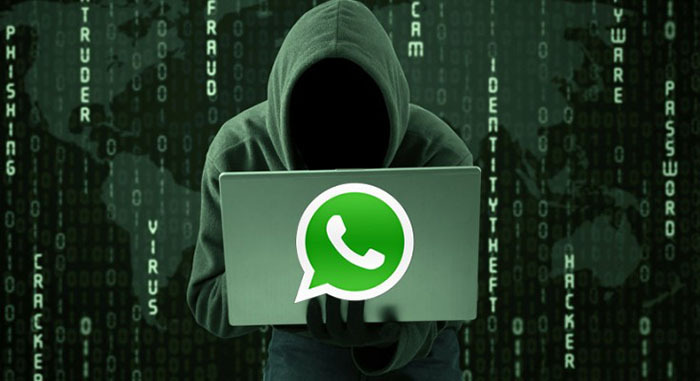 In order to hack WhatsApp account of another person, you need to gain access to their MAC address, and then follow the given steps to hack their account. You need to first completely uninstall your own WhatsApp account from your phone. However, this isn’t permanent, you can again install it at the end of the process. You need to find some time to gain access to your target’s phone without them knowing. You need to make sure that you have a few good minutes alone with the phone. As mentioned above, a MAC address is a 12 character identifier, and you can locate it in the following methods for different devices. Now you need to follow the same process and locate your own MAC address and store it in some secure place as you’ll need it later. You need to enter the target’s MAC address into your own phone. This is known as Spoofing, and it convinces WhatsApp that you are attempting to log into your own account. For iPhone, you can use MacDaddy X or WifiSpoof. For Android, you can use BusyBox or Terminal Emulator. Now, in the terminal, you’ll have to enter, “ip link show”. You’ll now have to find the interface with your MAC address. After you download and install the WhatsApp account again, you’ll have to configure it with your target’s phone number. This will give you permission to access all their messages and even send out messages as them. After entering the phone number, the target’s phone will receive a confirmation code to verify that this really is their phone. You need to enter the verification code to confirm. With this, you’ll get complete access to the target’s WhatsApp. You need to now delete the confirmation code from the target’s phone and place it back where you found it. Now that you have access to the target’s phone, you need to go back and change your MAC address following the steps given in Step 3. Your mobile will now be restored, and you can continue using the target’s WhatsApp or you can delete it and install your own again. With that you’re done! You’ve successfully hacked WhatsApp account without the help of any third party app, and without spending any money at all. However, as you can probably tell, this method is extremely complicated and risky, because you need access to the target’s phone for a long time, and you need to tamper with system settings. If you aren’t very tech savvy it would be completely understandable for you to be nervous about performing this invasive hacking process. In that case, you’re better off using one of the methods mentioned earlier. Now you know all the different ways in which you can hack WhatsApp account. All of the apps and tools mentioned in this article are effective. However, my personal recommendation would be to use Cocospy as it’s the most trustworthy and has the greatest track record. When you hack WhatsApp, be sure to do so ethically as there may be legal repercussions for getting caught, depending on where you’re staying. Having said that, hope this article helped, and please comment down below if you have any questions. Can a Phone Be Hacked with Just the Number? Here Is the Answer! How to Hack Instagram Account on iPhone and iPad?